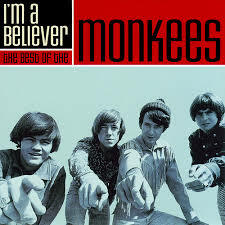 “I’m a Believer” was a smash hit for The Monkees in 1966. A key line in the popular tune was, “I believe in love.” Of course the song was about feelings of love for a girl. A question beckons - Am I a believer of feelings or of something more substantial? If anyone had a “right” to determine when and how they were going to die, would it not have been Jesus the Christ? Yet, in the garden of Gethsemane Jesus said, “Father, if You are willing, take this cup from me; yet not My will, but Yours be done.” – Luke 22:42. Walk in Spirit of sonship – Heir of God, co-heir with Jesus the Christ (Rom.8:15-17). Prayer guide: Lord, thank You for Your Son and Your Word as my guides for Kingdom living in this world. Help me walk in Truth with grace as Jesus exemplified. Amen. A faithful father is a believer that really believes that what he believes is really real. Your morning Dad Talk on being a believer really spoke to me this morning. As you say, our compassion can compromise our beliefs. Thanks for doing what you do!